Nestled on the beach, this Raleigh cottage is 1.2 mi (1.9 km) from Burnt Cape Park Reserve and 2 mi (3.2 km) from Pistolet Bay Provincial Park. Grenfell House Museum and Grenfell Historic Properties are also within 20 mi (32 km). 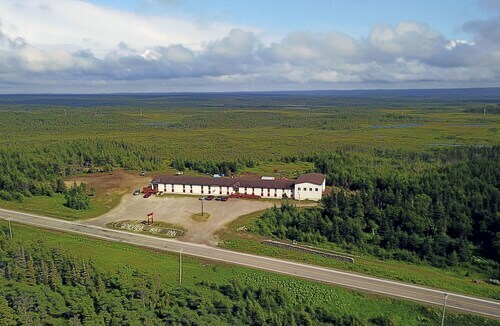 Situated in Raleigh, this motel is 0.9 mi (1.5 km) from Burnt Cape Park Reserve and 2 mi (3.2 km) from Pistolet Bay Provincial Park. Grenfell Historic Properties and Grenfell House Museum are also within 20 mi (32 km). 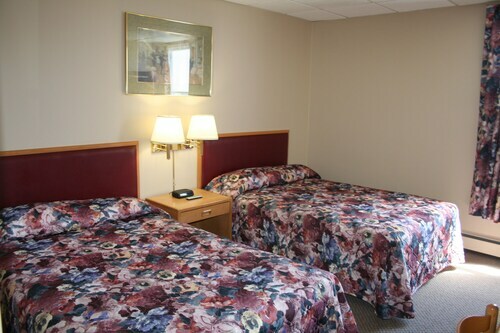 Situated in St. Anthony, this hotel is 1.1 mi (1.7 km) from Grenfell House Museum and within 3 mi (5 km) of Grenfell Historic Properties and Fox Point Lighthouse. Pistolet Bay Provincial Park and Burnt Cape Park Reserve are also within 20 mi (32 km). 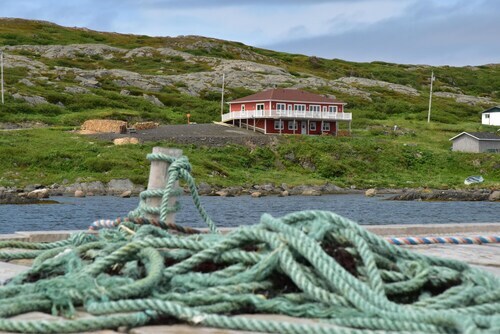 Situated on the waterfront, this bed & breakfast is 5.1 mi (8.1 km) from L'Anse Aux Meadows National Historic Site and 5.1 mi (8.3 km) from Norstead. Grenfell House Museum and Pistolet Bay Provincial Park are also within 25 mi (40 km). Situated on the waterfront, this hotel is 6.1 mi (9.8 km) from St. Barbe Ferry Dock and 8.2 mi (13.2 km) from 50 Centuries Interpretation Centre. Thrombolites Walking Trail is 15 mi (24.1 km) away. 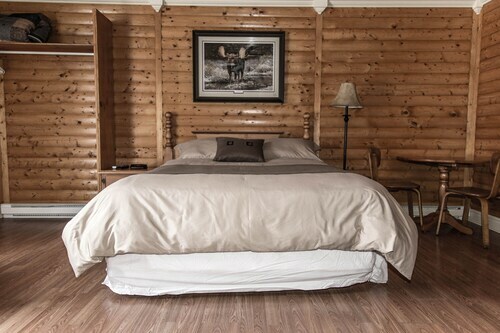 Situated in Roddickton, this hotel is steps from The Green Moose Interpretation Centre and Roddickton Pentecostal Church. East Pond Park is 1.5 mi (2.3 km) away. This property is in La Scie. Situated in Portland Creek, this cabin is in the same region as Arches Provincial Park.